I am obsessed with Design Star on HGTV, I'm not going to lie. 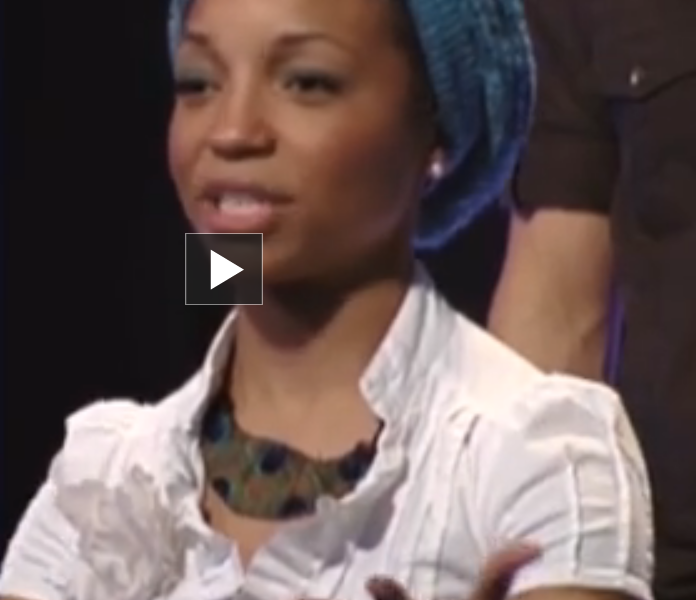 Even the designer's clothes and jewelry inspire me. 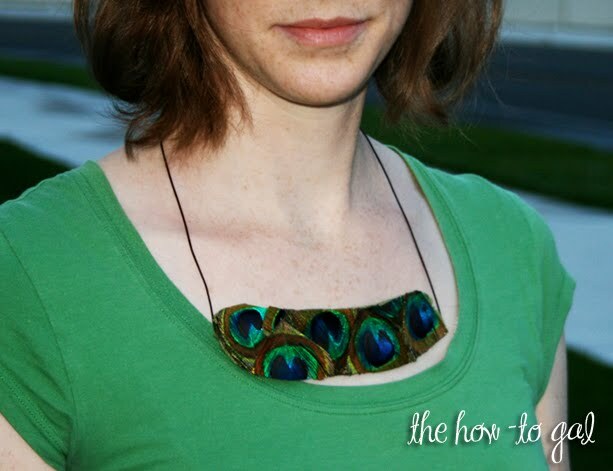 From Season 4: I love this peacock necklace and decided to make my own. 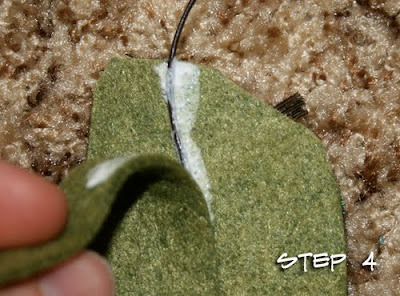 Gather your feathers and cut them down around the "eye"
Glue the stem of the feather to a piece of felt. 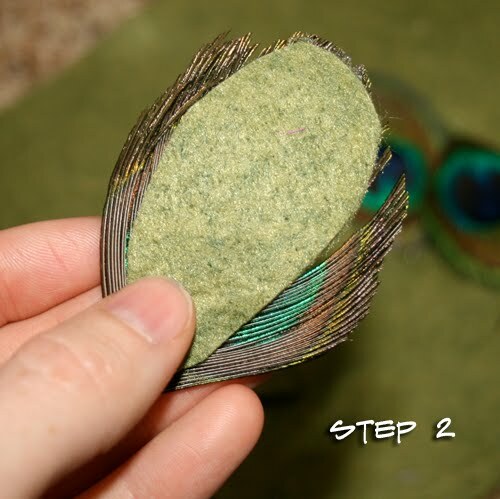 By doing this step it makes it easier to combine all of the individual feathers. 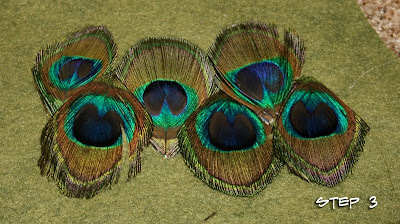 If you don't glue them separately to a piece of felt first(in my experience) the feathers will clump up with glue. 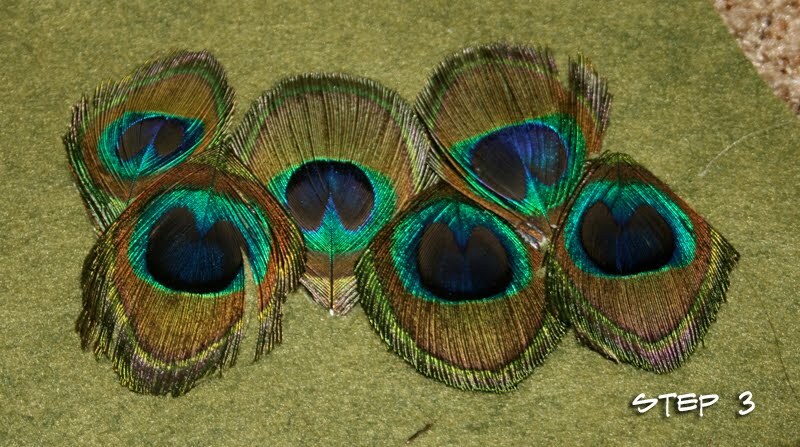 Arrange your feathers in the pattern you would like. 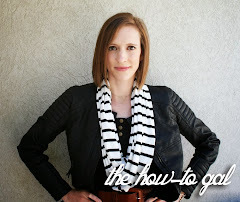 Remember you are going to cut it into a bib shape, so it doesn't have to be perfect. Glue each feather in place. I cut a length of skinny leather cord, measured around my neck how long I wanted it and then glued the length of the cord on the back of the large felt piece. Covered the cord with another piece of felt to secure it in place. 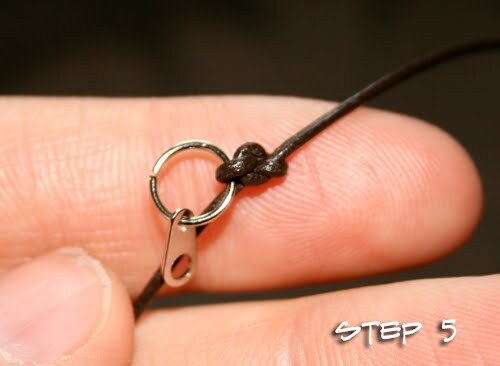 Tied the ends of my leather cord to jump rings on both sides. Wow, that is really striking. Thank so much for sharing this, I'll be linking.